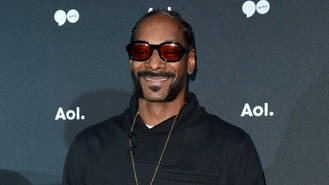 Rapper Snoop Dogg has landed a new role as an executive producer on upcoming cannabis comedy Mary + Jane. The Drop It Like It's Hot hitmaker and marijuana aficionado, will also perform the theme tune for the MTV series, and guest star on the first season. The news was announced during the MTV panel at the Television Critics Association Summer Press Tour on Sunday (31Jul16), when Snoop appeared at the Beverly Hills, California event via video link. Mary + Jane stars Scout Durwood and Jessica Rothe as two millennial "ganja-preneurs" operating a pot delivery service in Los Angeles, and Snoop joked he was the perfect person to introduce the new project "because I've been delivering weed for a long motherf**king time." Fellow executive producers Deborah Kaplan and Harry Elfont featured alongside Durwood and Rothe at the panel, during which Kaplan teased Snoop's guest role on the show, reports Deadline.com. "He does not play himself," she said. "He's like a Snoop Fairy." "You don't know when he's going to appear. You have to watch all the way to an end to see him," she added, although they did not reveal which episode he will feature in. Other celebrity guests include Seth Green, Buffy the Vampire Slayer's Leonard Roberts, Gone Girl actress Missi Pyle, and comedian Andy Daly. Snoop will produce Mary + Jane via his Merry Jane production company, a firm dedicated to marijuana, which he founded with media entrepreneur Ted Chung last year (15). The U.S. show will premiere on MTV on 5 September (16).